Designer Keith Brymer Jones original standard Bucket Mug pair (350ml) with “mr & mrs” hand stamped into the raw porcelain, creating subtle, unique differences between every single piece in Keith’s Word Range of designer homeware. Part of the Keith Brymer Jones Word Range. 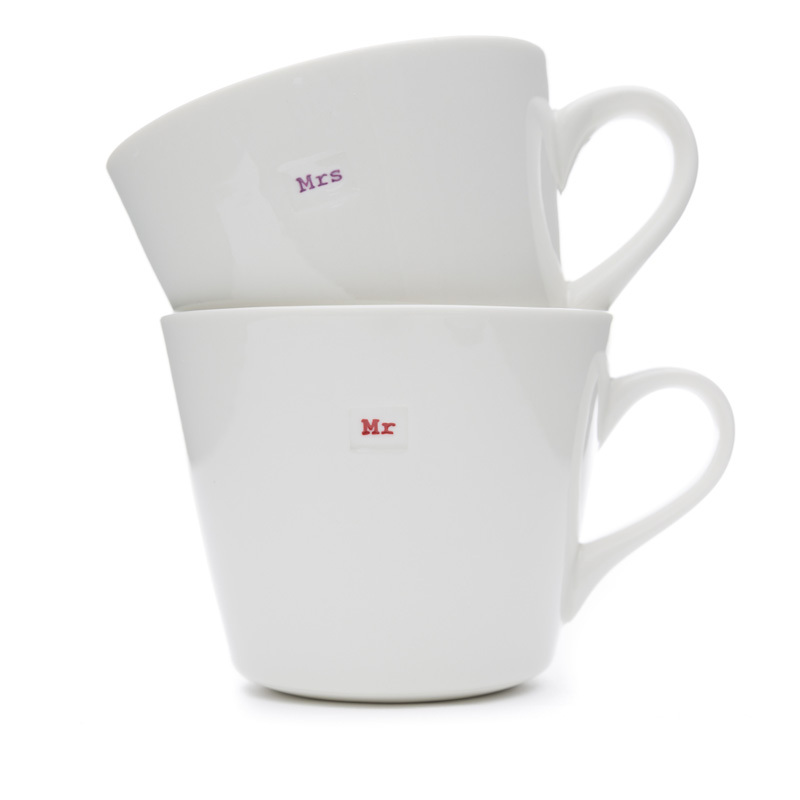 Beautifully styled by Keith Brymer Jones, this white porcelain Bucket Mug pair (350ml) with the words “mr” and “mrs” hand-stamped. Dishwasher & microwave safe for stylish practicality.The hand-finishing creaa subtle differences, making every item in keith’s word range of designer homeware subtly unique.